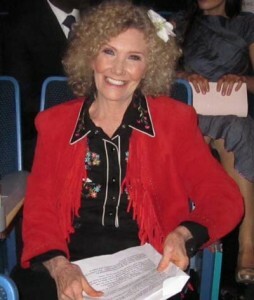 Carole Dean’s Guardian Angel Program was designed to help filmmakers navigate through the business, artistic, and life challenges of getting a project made. Ever thought about having a mentor? Making indie films can often be a long, lonely process. The time from research to release can be years. It’s too easy for filmmakers to get discouraged or stalled and never complete the film or they finish it and then can’t get it distributed. 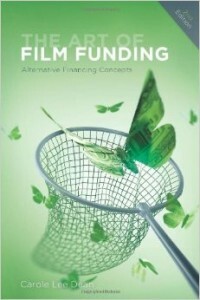 Which is why Carole Dean, president of From the Heart Productions and author of The Art of Film Funding, 2nd Edition: Alternative Financing Concepts, started her Guardian Angel Program. In the program, Carole draws upon her 25 years of experience working closely with filmmakers to provide them with the guidance, insight, support, inspiration and encouragement they need to get their films made and seen. Working with Carole Dean of From the Heart is inspiring, informative, practical – I have made so much progress on my documentary! 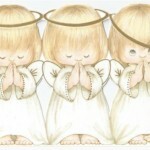 In the Guardian Angel Program, you commit to a series of 4 once-a-week consultations with Carole. Each filmmaker outlines what they want to achieve each week. During these 45 minute consultations, you can discuss your achievements or problems, get solutions, and keep moving forward making progress on your film, fundraising, or distribution. “You know when you promise yourself to do something and you don’t do it how guilty you feel? Well imagine when you promise your mentor to do something? You get it done and you love doing it. “You move, you enjoy, you have a plan, you are working towards your goal. You can feel the completion of the goal every week as you get closer to completion. It’s having someone to discuss the problems and help you overcome them. Carole began the Guardian Angel Program out her love of filmmakers and seeing their frustration at not being able to finish their films. Each year, she reviews close to 700 films and trailers from the Roy W. Film Grants. But, not nearly enough ever get made. Why? Because Carole found that while many filmmakers had tremendous talent, a fantastic concept, and heartfelt passion, they couldn’t begin to answer these questions. How do I raise money for my film? How do I find and engage my audience while in production? How do I distribute my film? What is my outreach potential? In the Guardian Angel Program, you can get these answers and move toward your ultimate goal…finishing your film! Carole Dean is a true friend to filmmakers. She not only offers constructive advice, but has a special knack of boosting confidence. I always have a new sense of motivation and ideas after talking to her. Got a Deadline and Need an Extra Help? Once in the program and you’ve got a deadline to submit your film to a grant, festival, or distributor, even if you’d already had your weekly session, call Carole and she will be there for you to discuss. Carole’s usual consultations cost $145. The Guardian Angel Program gets you 4 weekly consultations for $300. Payments are made to From the Heart and are tax deductible. or call 805 984 0098. She will review your materials and discuss your goals in a 20 minute free consultation. Then she can decide if she can help you create your film. Carole is such an amazing resource for filmmakers. Smart, wise, intuitive and a superb cheerleader, we are lucky to have her. With Gratitude! Does your film need a guardian angel? I met Carole Dean about a year ago with nothing more than my notes, my passion and my profound desire to do my first Documentary. I remember she encouraged me and guided me through every single step in order to accomplish my project. Every time someone asks me how are you doing this? I always respond: It is not just me I have a wonderful Angel who is by my side at all times, guiding me, supporting me and pushing me no matter what happens she is always helping me to keep my focus on things that really matter. I’m so grateful I found her and now we are working together, like she said: ” is all about the journey”. Carole has a tremendous wisdom, faith in you and persistence to keep you going. Be prepared because she will take you on a wonderful journey. I found Carole to truly be the guardian angel for my film. Her knowledge has been the difference in getting this film made. By changing areas in the script from her suggestions has made all the difference to the clarity and flow of the story. You can become part of the Guardian Angel Program by submitting your tax deductible fee now.